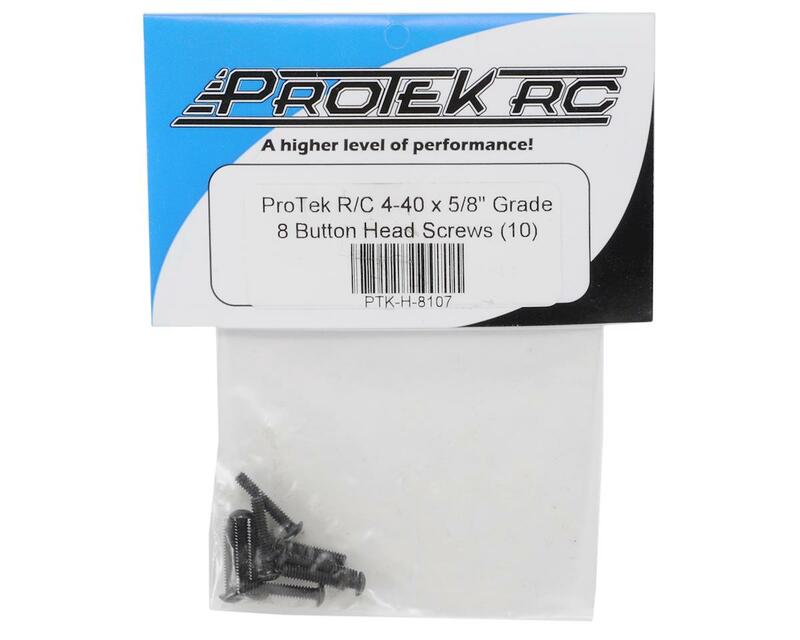 This is a pack of ten 4-40 x 5/8" "High Strength" Button Head Screws from ProTek R/C. These are made from standard grade 8 steel which has a minimum tensile strength of 180,000 PSI. These screws are the strongest you can get and are suitable for the most demanding applications! 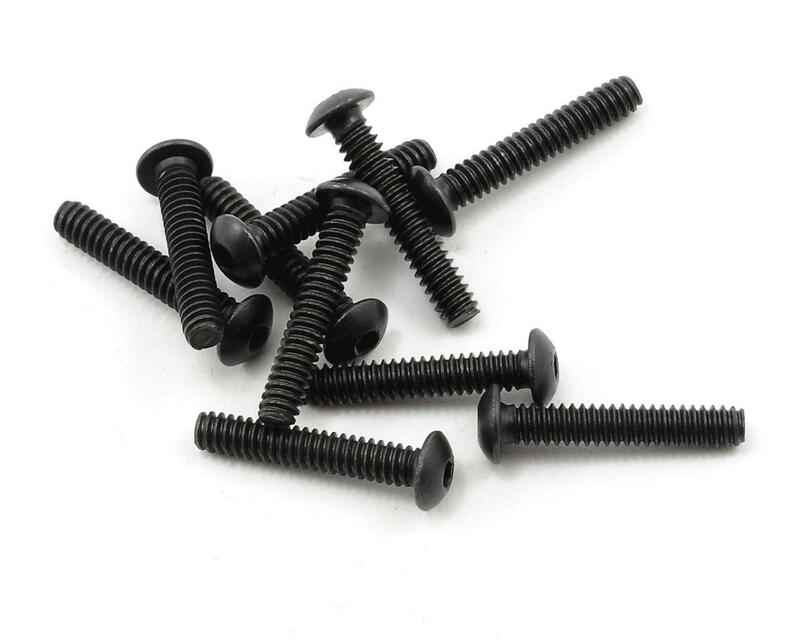 Most manufacturer brand standard screws are not grade 8 steel, so these are a great upgrade for your car, truck or helicopter!